This study aimed to assess Latinos’ perceptions about providing biological samples as part of participation in alcohol studies. We also aimed to use the information we learned to tailor follow-up messaging to Latinos for use in the Strengthening African American and Latino Engagement in DNA research (ENGAGE-D) project, which is a collaboration between Drs. Karriker-Jaffe and Greenfield at the Alcohol Research Group, and Drs. Chartier and Kendler at Virginia Commonwealth University. We partnered with a fellow PHI program, Cultiva la Salud, to recruit participants from the Fresno area for the focus groups. 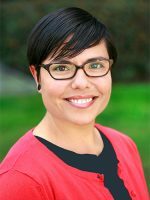 As a career development award, this award also served to further Dr. Martinez’s career by providing her with qualitative skills to complement her quantitative background, and to provide Dr. Martinez with findings that would inform her current work and future research proposals.